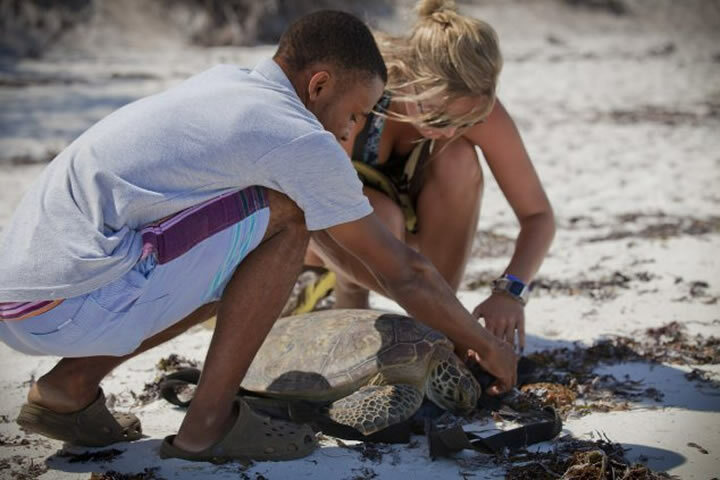 At Turtle Bay Beach Club we’ve been caring for the local community and environment for many years. In March 2004, this became an official policy of the hotel. Since then, the departmental managers in the hotel have been meeting regularly to ensure that our use of resources (energy and water), the disposal of our waste and purchasing are all for the benefit of the community and environment. Turtle Bay Beach Club is the first hotel to be awarded ”Gold Eco-rating” by EcoTourism Kenya in recognition of their efforts to further sustainable tourism through the preservation of Kenya’s environmental and cultural heritage. We have set out specific goals and action plans to achieve these goals. Our practices have been assessed by the Ecotourism Kenya (of which we are corporate members) in an in-depth application and we have been approved a Bronze eco-rating for hotels. We are one of the first hotels on the Kenya coast to take on such a move. We are also members of Benchmark Hotel, which assists us to continually monitor and document our performance and compare ourselves against similar hotels across the world. Your holiday can make a real difference to your favourite destinations. It can help to protect the natural environment, traditions and culture – the things that make your visit special. And it can improve the well-being of local families – spreading the benefit of your visit to those who need it most. Most importantly, it can help ensure that there are great places for all of us to visit – for generations to come. Aside from the Eco-Policy we have a dedicated Community and Conservation office where you are welcome to ask for advice about helping the local people and the natural environment. TBBC on Facebook You can access our facebook pages here, join in and share you experiances of Turtle Bay Beach Club. This area is reserved for our staff. By logging in here they can keep up to date with whats happening.